What Is the Difference Between Linoleum and Vinyl Floors? Linoleum and vinyl are easily confused, sometimes thought to be the same thing and sometimes the words are used interchangeably. However, they are quite different; there are differences in cost, care, maintenance and durability. One is more environmentally friendly, while the other is non-biodegradable, adding to our waste problems. Consideration should be given to these differences before choosing the one that best suits your needs. The word "linoleum" means linseed oil, one of its main ingredients. The word comes from the Latin "linum," for flax, and "oleum," meaning oil. Frederik Walton is credited with the invention of linoleum and in 1864 began manufacturing it in England at the Linoleum Manufacturing Company. Within a few years, Walton started exporting this product to the United States. In 1874, the American production of linoleum began at a factory on Staten Island. Vinyl was first introduced at the 1933 Century of Progress Exposition held in Chicago. Vinyl was not readily available during World War II, and the production and marketing of it was put on hold until the late 1940s, after World War II. In the next few decades, it quickly became a popular choice for flooring and became a major competitor in the market. With proper care, linoleum will last 30 to 40 years, where vinyl will last only 15 years. 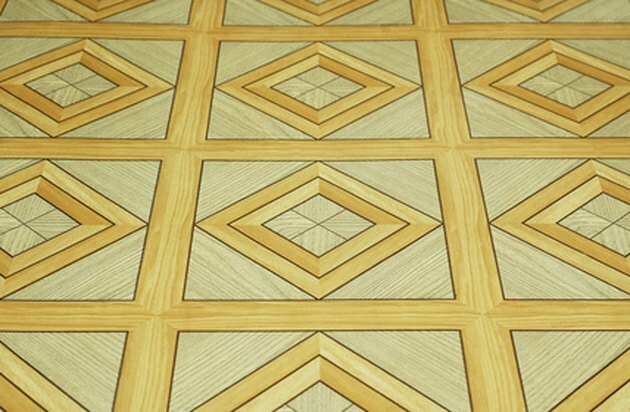 Linoleum tends to have a higher price tag because of its natural materials and its life expectancy. Vinyl is a synthetic product made of petroleum-based materials. Its longevity relies on regular attention. Linoleum handles large amounts of traffic better than vinyl. Manufacturers recommend regular waxing or polishing of linoleum to protect its surface. Once the vinyl's sealant wears down, it requires resealing. Water can be an issue if it seeps through the seams of linoleum, but with vinyl, a synthetic material, this is of little concern. 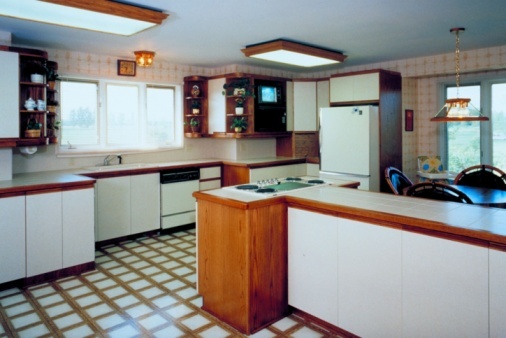 Linoleum is susceptible to turning yellow if not exposed to light and hidden under furniture; however, color does restore with more exposure to light. Linoleum has non-allergenic properties; it repels dirt and dust, making it a good choice for flooring in hospitals, health care facilities and in homes with allergy sufferers. Linoleum is considered a green floor because it is made with natural and recyclable materials; it does not emit volatile gasses and toxic chemicals. Vinyl, made of synthetic materials, can emit harmful gasses and chemicals. The color and design go all the way through linoleum, and with vinyl, they are stamped or printed on the surface. Linoleum flooring does not scratch as easily, and if it does get scratched, the pattern will not come off, as it goes all the way through.